One of the best ways to free up valuable floor space in your new apartment involves wall mounting that brand-new HDTV set you’ve just purchased. 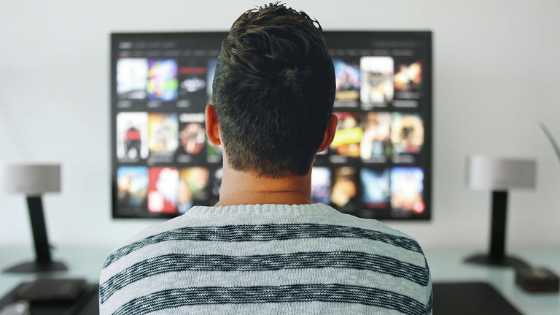 But whether you’re talking about a traditional 1080p set or a larger, higher definition 4K unit, there are a few key things you’ll want to keep in mind to make sure the process goes as smoothly as possible. Generally speaking, every wall mount is a little bit different — so you’ll definitely want to follow the directions that come with your specific unit. Going beyond that, you’ll want to make sure you purchase a wall mount that is designed to work with the actual set you’ve just bought. Some wall mounts are designed for Sony and Samsung, while others are for LG and Visio. Make sure the wall mount matches up with the brand of television you’re working with, or you’ll find yourself going back to the store sooner than you’d like. Next, make sure you also think about the future when selecting a wall-mount size. Typically, wall mounts come in different ranges — smaller mounts support TVs that are 19 inches to 32 inches or so, while the next size up supports 42 inches to 60 inches, and so on and so forth. But don’t forget — just because you only have a 55-inch television today doesn’t mean that you won’t want to upgrade to something bigger tomorrow. To save yourself a bit of time when that day comes, make sure that your TV is on the lower end of the scale for the wall mount you buy. That way, you can always upgrade to a bigger set later on without investing another $100 or so dollars for a new wall mount. Likewise, you won’t be stuck with an old mount that you can’t actually use anymore — thus preventing you from needing to figure out how you’re going to store it indefinitely. To find out additional tips that you can use to effectively wall mount your new TV set or to learn more about some of the unbelievable apartments in West Miami, Florida, that are available for you to move into right away, please don’t delay — contact District West Gables today.